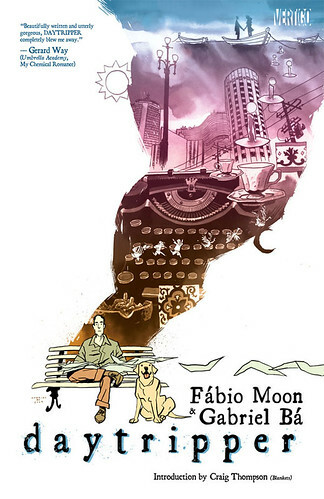 We couldn't be happier with Daytripper. It became everything we believe comics can be and it has been reaching people all over the world. We really enjoyed its run as a mini-series, but the collected edition is the one really going the distance. We love this book. 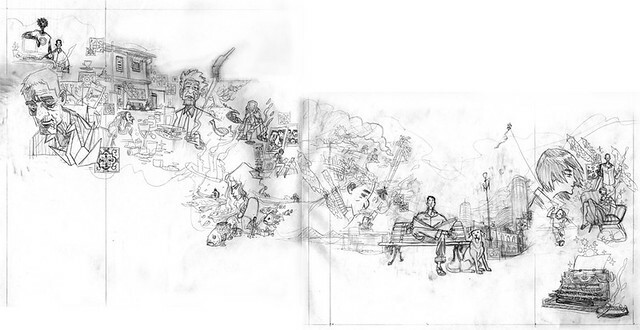 It took us long nine months to get the first cover of Daytripper right, making a lot of sketches, having to lots of different approaches, but in the end we couldn't have done a better job. 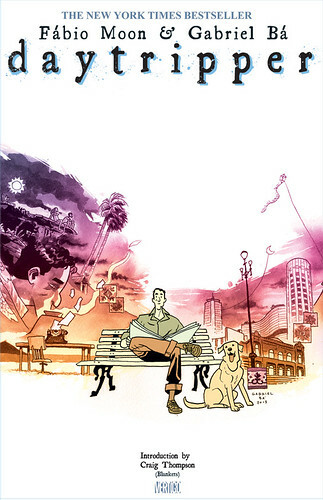 The cover for the first issue had to portray a little of the whole series as it could be used as the cover for the trade. Well, it did happen and it has become the "face" of the book all over the world. Except for the American edition, in every country it has been published, it got a harcover treatment. The same book, nothing different inside. Well, if we would have the american hardcover edition, it should be special, since this is such a special book. It was very hard coming up with a new cover for the new edition, because I really love the old one. So the new one had to be special, to tell more than the first one, to embody the whole story. Four years have passed since I've done the first cover and this book became something larger, so the cover would have to step up too. 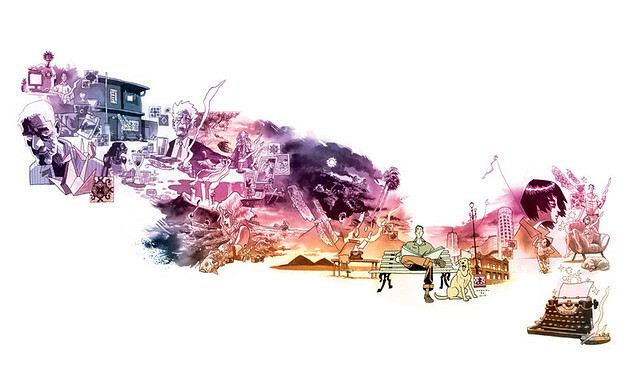 With the release date of April 2014, the Daytripper Deluxe Edition HC will have a dust-jacket wraparound cover, three piece case, better stock matte paper and 16 extra pages sketchbook section. Go to your local comic store and make sure you order it. 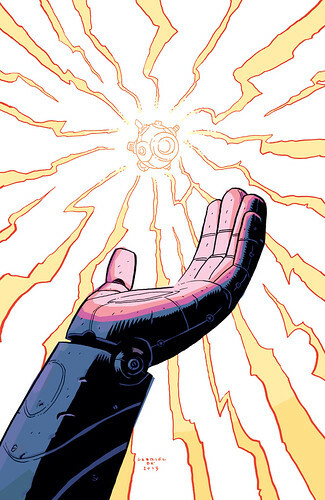 January 1st will bring the sixth and last issue of "The True Lives of the Fabulous Killjoys", written by Shaun Simon and Gerard Way and draw by Becky Cloonan. Here's my last variant cover. KILLJOYS 6, a photo by 10paezinhos on Flickr. Here's a recent video I made with Bá for a lecture we did about comic book lettering. After years lettering my comics in the computer thanks to the fabulous work of letterers and font wizards like Richard Starkings (who I had the pleasure of meeting recently in Leeds, his home town, during Thought Bubble), Nate Piekos (whose great fonts and balloons have been helping us tell Umbrella and Sugarshock stories) and many others, I have recently decided to apply myself on the art of hand lettering. I always had crappy handwriting, which distracted the eye from the drawing when put together on my comics, but after meeting Craig Thompson, Dustin Harbin, Cyril Pedrosa and many other artists whose lettering also helps to convey their art styles (which is the case in most of the european artists), I decided to figure out what my stories would look like if I hand lettered them, so I've been practing and experimenting with different tools. A part of me – the part that inks everything with the same brush – wants to letter with the brush and see how would that go, but I guess I would have to draw a little bigger to pull that off. Seems to work with Paul Pope, and I know he draws pretty big. I'm still not satisfied with my skills, but it's fun to learn with the mistakes you make while you're discovering a new world. This saturday, Bá joined in on the "art hunt" game, doing the image below and hiding it somewhere in São Paulo. The clues to the hiding spot weren't the easiest ones – it was hidden on a subway station, and there are a lot of stations that look alike in SP – and we were happy that the drawing was found nonetheless. 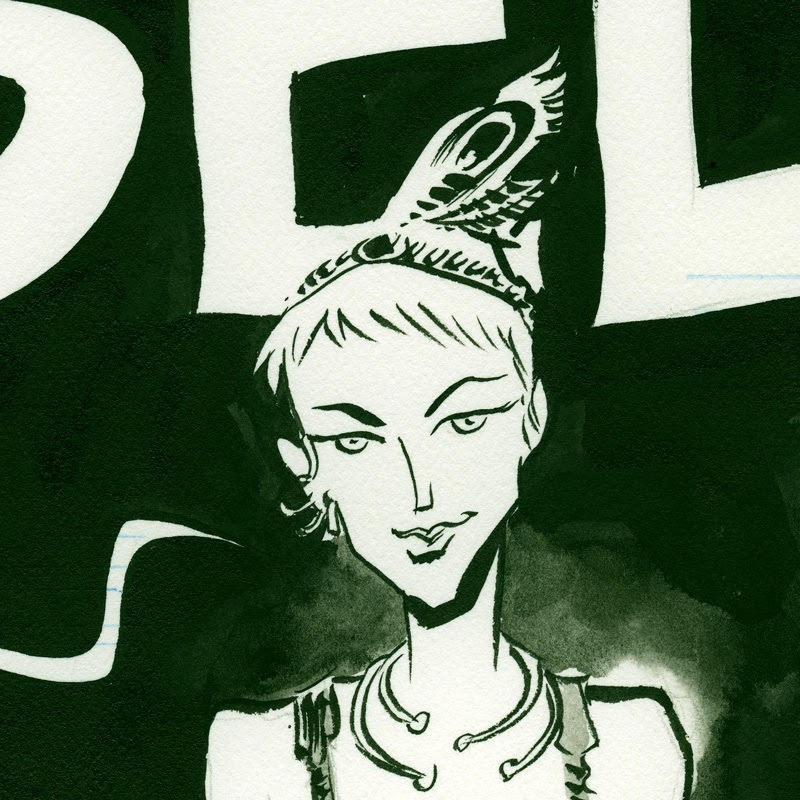 A detail from a larger image. Every character looks better when I'm using a new brush. I did another art hunt this week in São Paulo before I did a presentation in a theatre. The last hunt of the year. Inspired by friends who did the same thing, and wishing I could do something fun to interact in some real way with many of the fans and readers that I have only reached virtually via twitter, instagram or facebook, I started an "art hunt" game during the last two big festivals I went. The first one, FIQ, happened in Brazil, in downtown Belo Horizonte, and I tested the waters for this game first there because I was more confident my brazilian audience would responde to it. Brazilians spend a lot of time on the internet (maybe too much time, in my opinion), so I decided a brazilian festival was a good place to start. 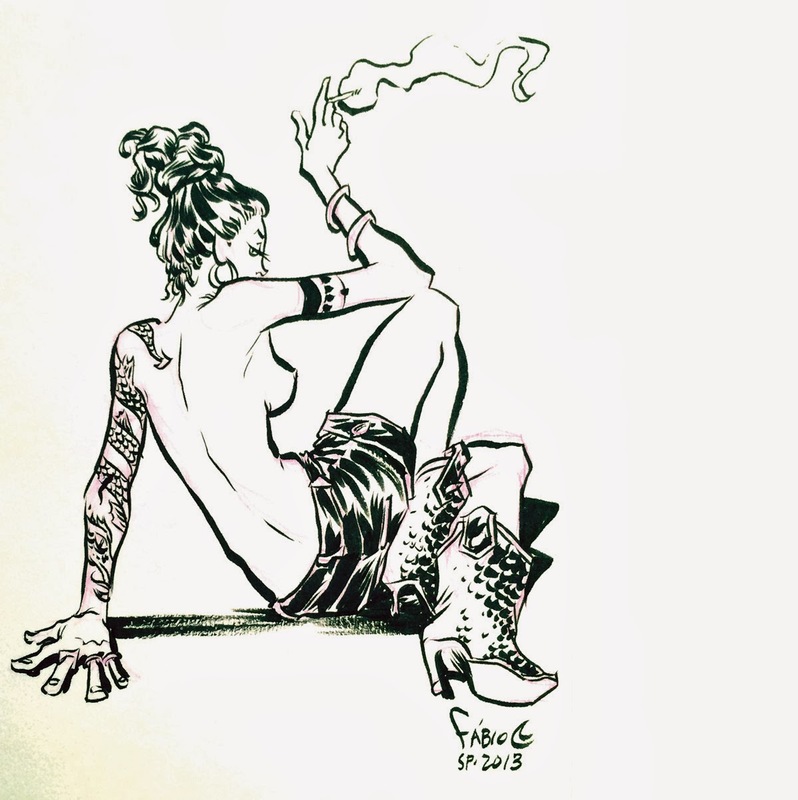 I did one drawing each day at FIQ, which is a five days long festival, so I had to find many different places for the drawings, and also I tried to make drawings that would always be worth looking for. The one that took the longest to find was Jon Snow, hidden inside the beer fridge of the bar of the festival. It worked out so nice that I did it again at Thought Bubble, the festival that happens in Leeds in the UK. I also did it daily, for three straight days, but this time, since it was my first time in that place, it was harder to choose where to hide the drawings. Two of the art hunts happened at night, since it gets dark at 4 PM around this time of year. All the same, I think the english crowd also had fun, and all the drawings were found. These two conventions happened in two consecutive weekends, so after that I was beat and had no energy left to continue my art hunt game during the four days I spent in London. I had a great time doing this game, and I hope to do it again.